Yesterday, I went to JB for my usual rounds of shopping and food, with an additional purpose. Knock myself out with 2 movies. I haven’t been watching movies there for sometime now as there were no movies worth watching then. This season, I had 2 movies which I looked forward to, Knowing and Fast & Furious. Lets start with Knowing. Being a fan of Nicolas Cage and disaster movies, this instantly becomes a most sought after films this season. This film is about how a boy finds a paper full of numbers which was buried in a time capsule some 50 years ago. Apparently these numbers mean and dates, location and number of people that were killed in any disaster. 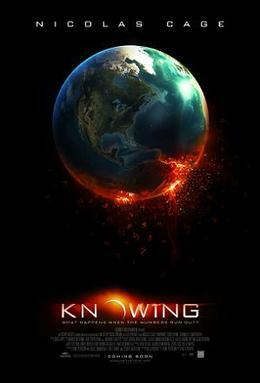 As the film’s tag line states “What happens if the number run out?”, you probably guessed it, an Armageddon scenario. Whether it happens or not, it’s up to you to find out. Personally, I found the idea of this movie very interesting. There were 2 major disaster occurrences in the movie which was very well displayed with CG. One of the sequences involved an airplane crashing down onto a field, with it’s wings slicing the highway full of cars. That was totally awesome and worth watching it on the big screen. The sound effects had that “in your face” result which reminded me of the time I watched Twister some 13 years ago with DTS.